The Select Committee on Land and Mineral Resources in the National Council of Provinces (NCOP) met to consider the provincial mandates on the Mineral and Petroleum Resources Development Amendment (MPRDA) Bill, and to be briefed by a Parliamentary legal advisor on two Plant Bills. The Chairperson advised that the Committee would go through each provincial MPRDA mandate clause by clause, starting with the Eastern Cape (EC). However, due to time constraints, only about half of the recommendations raised in terms of the EC mandate were voted upon by Members. The Chairperson advised that the EC mandate and those of other provinces would be continued at a later date, when Parliament resumed after the current recess. Only six of the nine provinces were present during the voting procedure. The Free State, Gauteng and Northern Cape were absent. The NCOP Procedural Officer gave a brief overview of the protocols and procedure related to voting on mandates. Normally a quorum was five out of the nine provinces, except for aspects related to the Constitution, where six provinces were required. If there was no provincial representation during voting procedures their views would not be heard, so their mandates would not be accommodated. Amendments to some definitions, including for “customary law,” “directly affected communities” and “mine gate price.” In addition, it wanted the definitions for the codes (Black Economic Empowerment - BEE), the charter (Mining Charter) and standards (housing standards) included in the section for definitions. Prior consent from communities before mining commenced, reparation for dislocation of communities as a result of mining in communal areas, and that communities that owned or possessed land in terms of any custom or practice retained the right insofar as it impacted on the disposal of both surface and subsurface rights. Recommendations that the appointment of members to serve on the committee to advise the Minister on mining matters also included people with expertise, who would take care of the developmental needs of communities. Another important proposal was a substantial amendment that strengthened the position of communities living on communal land impacted by mining. The EC also presented recommendations that permits had to be reserved for black-owned and controlled companies, and that the Mining Charter’s 26% ownership target had to be applicable when companies applied for mining rights. In general terms, although some of the EC recommendations were supported by the six Members present, most of the recommendations did not get the support of all the provinces represented. The Parliamentary Legal Advisor provided the Committee with a report containing a summary of key concerns raised in the debate on the two Plant Bills and her recommendations. She allayed the concern raised by some provinces, who wanted to amend the definition of “sell” to protect small scale farmers who exchanged seeds and plants. She said that this was not required, as the Department of Agriculture, Forestry and Fisheries (DAFF) advised that there was protection to enable this in both Bills. The Committee agreed that as there were no other outstanding issues in respect of the two Plant Bills on which Members needed further clarity, the report of the State Law Advisor should be accepted. The Chairperson advised that the Committee would first discuss the provincial Mineral and Petroleum Resources Development Amendment (MPRDA) mandates followed by the Plant Bills. The Committee would go through each provincial MPRDA mandate clause by clause, starting with the Eastern Cape. Ms Z Ncitha (ANC, Eastern Cape) said the province supported the Bill, but with a substantial list of amendments, as continued in the voluminous provincial mandate on the MPRDA Bill report. In the preamble, the Eastern Cape (EC) wanted some additional foundational principles. These related to communities affected by mining having a greater say in land use, that free prior and informed consent (FPIC) was a collective right for mining communities, the development of the rural economy, and community aspirations to define their own development paths. 2.1 The definition of “customary law.” The EC wanted customary law to be defined as it was practised by communities, and that this had to override other written accounts of customary law. 2.2. The definition for “directly affected community” had to be defined as a community that was directly affected by mining on communal land, with the latter being as defined as in the Restitution of Land Rights Act of 1994. At this point the voting procedure was interrupted by a discussion on the voting process. Mr A Nyambi (ANC, Mpumalanga) said he wanted more clarity on the process. Once a province had read its mandate, the Department of Mineral Resources (DMR) or the legal teams present could provide clarity on the issues raised in the mandate, and once Committee Members had clarity on the issues, voting could proceed. The Chairperson asked for a legal opinion on the issue raised by Mr Nyambi. Mr Nyambi said he needed a legal opinion, as he wanted clarity and security about the process being followed by the Committee. He wanted to be sure that the Committee was doing the right thing. The Chairperson said be agreed, as the Bill had to pass constitutional muster. Ms C Labuschagne (DA, Western Cape) commented that this was a remitted Bill that had been sent to the National Council of Provinces (NCOP) by the National Assembly (NA). The Committee had already engaged the DMR and had obtained clarity on the Bill. The process of law making was now in the hands of the Committee, as guided by their provincial mandates. Further clarity from the DMR would not change the agreed provincial mandates. Mr Nyambi said that the provincial mandates were very clear, but that Members needed some clarity on technical aspects relating to the procedure and process to follow on the MPRDA. Dr P Matema (ANC, Limpopo) said the discussion was very important because at the end of the day what the Committee decided had to benefit the people of South Africa. Members had to apply their minds on issues that other provinces may have picked up and things that some may have missed. Mr Julius wanted to know what the procedure was if provinces were not present at the meetings during the voting process. Mr Nyambi said that there were very clear rules on Committee quorums and that these rules should dictate how Members should act. Mr Julius said he just needed clarity and asked for state legal advisors to give Members an opinion. As and example, Committee Members discussed the case of Committee Member, Mr J Parkies (ANC, Free State), who was not present. How would the Free State views be heard? Ms Bowers responded that procedurally there were clear rules that guided the Committee’s operations. Permanent Members had the mandate to vote and if they were not available, alternate Members could vote. If both the alternate and permanent Members were absent, a special delegate nominated by the province could present its mandate and vote on the issue. Normally a quorum was five out of the nine provinces, except for aspects related to the Constitution, where six provinces were required. If there was no provincial representation during voting procedures their views would not be heard, hence their mandates would not be accommodated. At this stage, Mr A SIngh (ANC, Kwazulu-Natal) joined the meeting and Mr Julius left the meeting. Dr Matema said she was uncomfortable with the words, “offending against constitutionality” in the EC clause relating to the inclusion of codes, the standards and the charter being included in section1 of the Bill. She asked for clarity from the legal advisors. Ms Daksha Kassan, Parliamentary Legal Advisor, responded that the inclusion of these definitions in section1 was not unconstitutional, as it merely transferred delegated powers to the Minister, to develop the details on issues like codes of conduct, the Mining Charter, housing standards etc. The Act itself was the primary legislation, while the codes and other aspects like regulations that accompany the Act, were secondary, i.e. delegated powers afforded to the Minister by Parliament. Mr Theodore Hercules, Principal State Law Advisor, agreed. Voting on clauses as presented by the EC then resumed. 2.4 A concern that the definition of mine gate price would result in expropriation of property and as a result of this, the state would have to compensate those affected by the expropriation (e.g. mining right holder) if a loss of income arose. Dr Matema wanted more clarity on mine gate price and how it impacted on section 24(2) of the Constitution (property expropriation). Mr Kagiso Menoe,Director: Beneficiation Economics, DMR, said that producers set their own mine gate price, not the Minister of Mineral Resources. The mine gate price mechanism had been introduced to avoid producers basing their prices on import parity (coastal price of imported goods plus transport cost to inland areas). 2.6 A definition for shale gas had to be included in the Bill to address the challenges and concerns associated with it. 2.7 Retention of a definition for woman and children in section 1. Ms Sibongile Malie, Director: Policy Development, DMR, said that in terms of minerals, the mineral rights were separated from the land rights. Ms Labushcagne responded that all mineral rights belonged to the government, including where communities lived on communal land being mined. She said that the whole issue (mineral rights) was “ in a mess” and that there had been no proper engagement and consultation with mining communities. The people of this country were not being consulted on these issues. Dr Matema said that the minerals belonged to “all” the people, but that those whose land had minerals on it, were totally dispossessed. She wanted to know how these people and those who lived on mining land would benefit. She felt that Committee Members, as part of Parliament, had to ensure that the laws created in Parliament benefited people such as those being referred to. 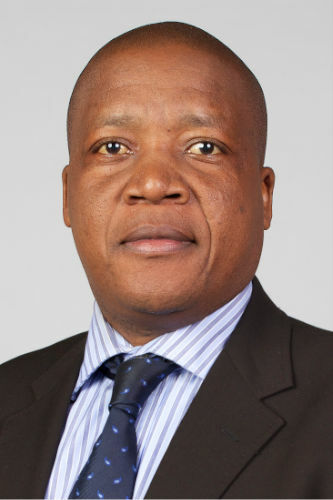 Advocate Thabo Mokoena, Director General (DG): DMR said the Department was fully aware of these issues insofar as land owners and landless people and the impact of mining rights were concerned. Dr Matema responded that after August, this issue had to be addressed. It was not possible to separate land ownership from minerals. She was concerned about the overall process. Voting on clause 2.8 as presented by the EC then resumed. 3. In respect of Clause 5 of the Bill, the EC recommended that section 9(5), dealing with preference to an application already lodged, be retained. 4. The EC recommended that section 5A of the Bill be amended by an insertion that would make mining activities illegal unless there was consent from the community, and that the process was in compliance with the Interim Protection of Informal Lands Rights Act of 1996 (IPILRA). 5. On section 7, clause 10B, the EC recommended the insertion of an additional paragraph to ensure that negotiations in respect of communal land were accommodated. 6. The EC recommended that section 7, clause 10C regarding the appointment of Members to serve on the committee to advise the Minister on Mining Matters, also included people with expertise that took care of the developmental needs of communities. 7. A recommendation that clause 7 section 10C (2) included an addition that ensured that the meetings of the Regional Mining Development and Environmental Committee (RMDEC) be open to the public and that reports and minutes were available for public inspection. 8. Regarding Clause 8 (a) 1, the EC proposed that additional detail be provided on what consent would be provided by the Minister before some mining activities could commence. Dr. Matema asked for clarity as it seemed that the grammar in the wording of EC recommendation was incorrect. Ms Malie said that in terms of the transfer of mining rights, the Minister had to be consulted. Mr Singh wanted to know if there would be prior consultation before the issuing of rights. Ms Malie confirmed that it was prior. 9. The EC recommended that section 10 of the Act be changed by a substantial amendment that strengthened the position of communities living on communal land impacted by mining. Adv Mokoena commented that during the process of consultation with communities, confusion was often created by the engagement process. Sometimes not all in the community agreed with the proposals which were supported by some. This resulted in separate groupings not reaching agreement, and created disunity in the community. Dr Matema said that a mechanism had to built into the Bill that addressed this problem so that all members of a community felt protected. Mr Nyambi commented that the Committee had a very full agenda of Bills and also had other programmes to complete. The Committee may be forced to meet during the recess period to ensure all outstanding work was processed. He asked for guidance from the Chairperson on this. 10. The EC introduced a further amendment in section 10 to ensure that mining applications for areas falling under traditional leadership were processed properly, such as the consultation process, engagement with communities etc. 11. The EC recommended that clause 21 regarding the designation of certain minerals as strategic, could be unconstitutional, as it could introduce quantitative restrictions. 12. The EC introduced proposals to amend clause 22 to ensure that permits had to be reserved for black-owned and controlled companies, and that the Mining Charter’s 26% ownership target had to be applicable when companies applied for mining rights. Ms Malie commented that there was already a DMR policy in place to favour BEE applicants for some of the mining rights, so there was therefore no need to enforce the 26% ownership target, as those applicants were already empowered. 13. The EC proposed an amendment to clause 27 to promote the participation of small artisanal miners. 14. A concern was raised regarding clause 31 of the Bill. The EC felt that in its current format it would prohibit the collection of prescribed debt. The EC proposed an amendment to address this. It also wanted to know why this clause had not been put to the public. The DMR responded that this was not a new clause, and that it had been in the old Act, so there was no need to include it in the current engagements on the MPRDA. It was merely included in the documentation as a matter of clarity. At this stage the Chairperson advised that the Committee had to conclude its debate on the MPRDA due to time constraints. He said the discussion and voting on the MPRDA mandates would continue at a later date. The meeting would continue on the Plant Bills. He asked that Members conclude the agenda on the MPRDA by voting on clause 31. She explained the Parliamentary rules regarding how provincial mandates had to be executed in respect of a specified issue only, for example, the Plant Bills. This clause had resulted in substantial debate and views from the provinces as it was felt that in its current format it did not provide any protection for small scale farmers, where previous practices like seed exchange could now become a criminal offence. She advised that according to the Department of Agriculture, Forestry and Fisheries (DAFF), there was protection for small scale farmers in clause 23 (Plant Improvement Bill) and clause 10 (Plant Improvement Bill). The DAFF felt that if amended, it could lead to widespread exploitation by transgressors. It was therefore felt that the section did not require amendment, as the DAFF would provide protection for small scale farmers. The suggestion that this clause required amendment in respect of fines payable was not necessary, according to the Parliamentary Legal Advisor, as she felt there was an empowering provision for this in the law. All Committee Members agreed that as there were no other outstanding issues in respect of the two Plant Bills that the Committee needed further clarity on, the report of the Parliamentary Law Advisor should be accepted. Members supported the adoption of the Committee minutes of November 2017 and February 2018.